DeHart Recycling Equipment offers full lines of Commercial and Industrial shredding systems ranging from small strip-cut shredders to a fully-engineered custom shredding solutions complete with integrated feed and discharge equipment and dust collection. We provide systems for document and product destruction, bulk reduction of boxes, cores and industrial by-products, e-waste, plastic granulation, and wire and metal shredding. 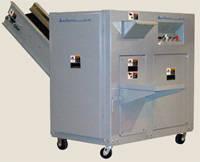 Several models of conveyor-fed Light Duty Industrial shredders are available. 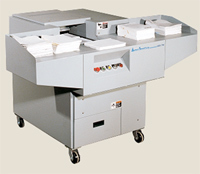 These sturdy machines are designed for centralized office shredding. Light duty models include a 16" wide feed throat, feed table, hardened saw-tooth cutters, motors ranging from 3 to 10 HP three-phase and heavy-duty gearbox and drive. Light duty shredders are rated to handle up to 1,200 lbs. per hour at up to 180 sheets per pass. 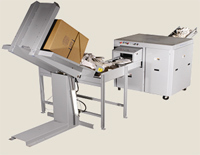 Strip-cut or cross-cut shredders are available. 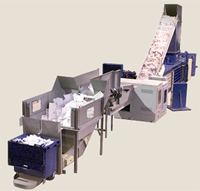 Medium Duty Industrial conveyor-fed shredders are well-suited for use at recycling and document destruction operations. These powerful machines include a 20" wide feed throat, feed table, hardened saw-tooth cutters, motors ranging from 15 to 40 HP three-phase and heavy-duty gearbox and drive. Rated to handle up to 3 tons per hour at up to 475 sheets per pass. Medium duty shredders can be equipped with cart dumper, discharge conveyor and baler to maximize processing efficiency. Heavy Duty Industrial shredders are designed for high-volume document destruction to maximize your shredding operation's efficiency and provide years of reliable performance. Design improvements have been incorporated into the drive design, feed system and additional features to minimize maintenance. Coupled with a cart dumper, above ground or in-floor Paper Metering system, discharge conveyor and auto-tie baler, heavy duty shredders are capable of processing over 500 tons per month with minimal labor. This is a versatile "dump and run" shredder! Rotary grinders feature an automatically controlled process-ram that virtually prevents jamming and is self-cleaning. 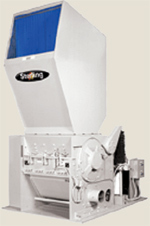 The design of this single-shaft shredder is extremely unique in its universal capability to process a wide range of different waste materials. The same basic shredder can process plastic such as large extruder purgings, large reject parts, trim scraps, baled or loose film, synthetic fiber, as well as cardboard, paper, medical waste, carpet, pallets and wood. The ideal solution for bulk reduction of corrugated, paperboard, pallets, fiberglass molds and other industrial scrap. The patented pierce-and-tear shredding action pulls material into the shredding wheels and tears it apart. The smooth shredding action provides for low energy consumption, low noise and dust levels, less maintenance - far superior to other shredding methods such as hammering, grinding and cutting/crushing. We have a shredding solution for any sized need - whether you have a handful or multiple tons per hour of cores to shred. Shredders are available with capabilities to handle cores from 3" to over 18" diameter with up to 1" wall thickness and any length. We also have solutions for your paper rolls - from removing a few inches of paper from a roll to shredding full rolls - we can assist with your fiber recovery needs. 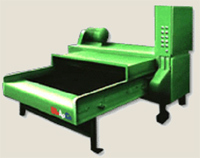 We have shredders and crushers specifically designed for processing e-waste. A variety of e-waste shredders are available from magnetic degaussers, to simple presses, to high-volume shredders. E-waste processing shredders are used to physically destroy hard drives, floppy disks, CD's, DVD's, PCMCIA cards, Zip disks and other media to ensure data is completely destroyed while providing for metal recovery. 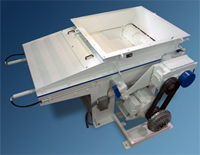 Heavy-duty granulators designed for high capacity plastic recycling. Ideally suited for applications including heavy extruded purgings, sheet, pipe scrap, X-ray film, post consumer baled bottles, film and fibers. Models range from small units handling a few hundred pounds per hour to large centralized machines for reducing almost every material stream volume. In addition to the equipment shown above, we carry lines of crushers, choppers and pulverizers which are used for processing metal and wire, banding, glass, wood & pallets and other products. See our Recycling Equipment page or contact us for more details on solutions to your processing needs!